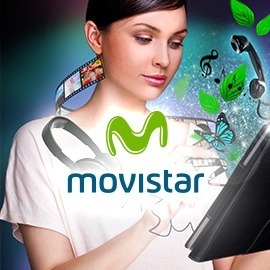 Wow us with a video that shows the wonders of Movistar’s Fiber Optics at home! Movistar is a Chilean Fiber Optics provider that brings technology into Chilean homes, with access to super-fast broadband connection up to 150 MBS, IPTV (Internet Protocol Television, a system that allows you to interact with the programs on your TV), and many HD channels. If you had just invented Fiber Optics and wanted to introduce it to everyone, how would you present this new technology to people you want to convince of its wonders? Create a surprising and original video that boasts the wonders of Fiber Optics and its impact on people’s lives. Format: Videos and animations, no longer than 30 sec. Click here to read the brief and participate !! You have till December 4th to participate ! !